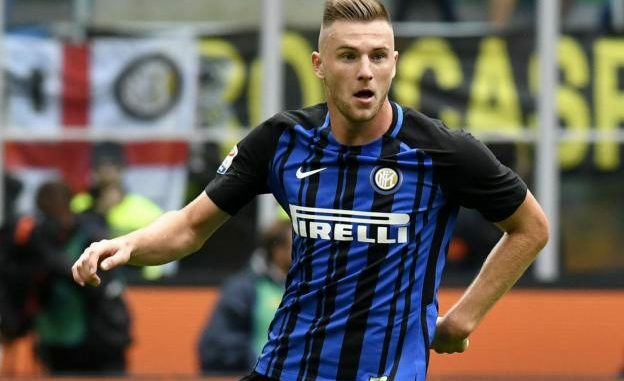 Manchester United have been given bad news in their pursuit for Inter Milan defender Milan Skriniar, with the £48.2m centre-back ruling out a move away from the San Siro this summer, reports The Sun. United are in the market for a new defender as Victor Lindelof, Marcus Rojo and Daley Blind aren’t commanding a starting place. Eric Bailly is returning from injury, but it appears he doesn’t have an obvious partner at the back that manager Jose Mourinho can trust. Skriniar is reportedly high on their shortlist, having impressed for Inter Milan since his move from Sampdoria last summer, but the 23-year-old isn’t thinking about leaving. He’s made 28 appearances in all competitions for the Nerazzurri and says he wants to make many more. In a previous interview, the Slovakian international opened the door to an exit by saying “we’ll see what happens,” but he’s since clarified such comments and committed his future to Inter. “I see myself here at Inter for many years. I’ve never said I wanted to leave, just that anything can happen. The translation was wrong. All it takes is to change two or three words and it changes the meaning. I just want to help the team, by scoring too if I can,” Skriniar said. Even if the defender was looking to move from Inter, he won’t come cheap. His agent revealed the Nerazzurri turned down a bid of £57m last month. There’s a lot of competition for his signature too, with Manchester City, Real Madrid and Barcelona named as suitors.